It's time for some girl power! I've got A Peachy Princess from the Dollish Polish Super Mario Bros. Collection (which is currently in clearance). A Peachy Princess is a pink jelly base with various shapes of pink, peach and gold glitters, along with some fab peach squares and pink hexes. 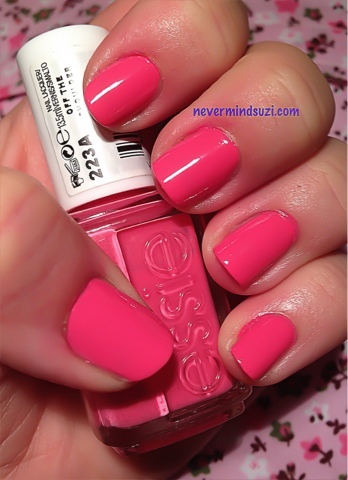 I popped this on over Essie - Off the Shoulder, a nice popping pink creme which had the loveliest formula. 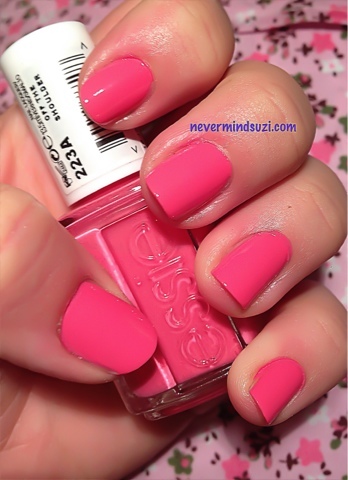 I really enjoyed the girlieness of this mani!